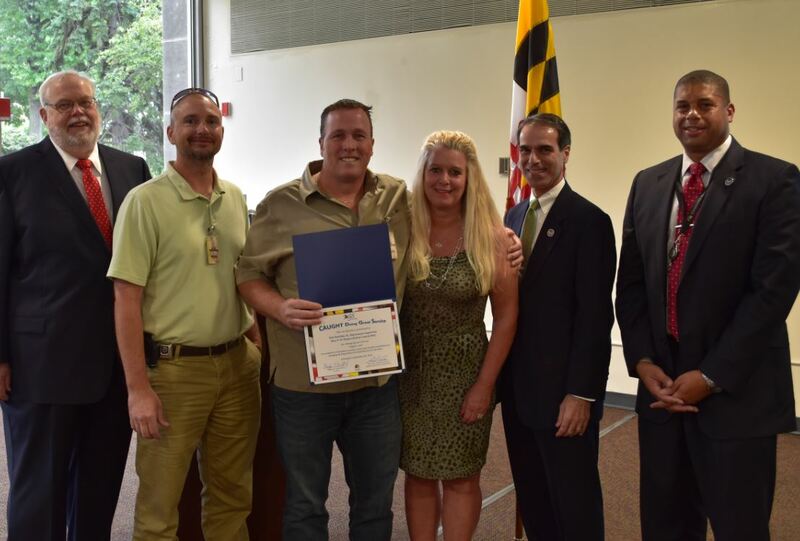 September Employee of the Month – Bob Hamilton, Sr.
Bob Hamilton, Sr., maintenance supervisor at the Mary E. W. Risteau District Court and Multi-Service Center in Belair, has been with DGS since September 2011. A master electrician by trade, Bob shows pride in his work by being very tidy and precise as he goes about his daily tasks. Special projects, particularly, highlight the commitment, determination and initiative he brings to the job. Not long ago, Bob had two HVAC projects to address. The first required replacing/repacking bearings in a small exhaust fan motor. The project bid was $2,022. Bob thought twice about the price and decided it was a DIY job that he could handle. He purchased new bearings and other needed materials and completed the job for under $100! The second project entailed replacing an eight inch flow-control valve for chiller condenser water. The project bid was a whopping $10,010! Bob did some research and purchased the valve for $1,246, along with about $30 in gaskets and miscellaneous items, and completed the project for less than $1,300.